Through centuries of wars and tough economic time, Poles learned to never waste food. Even in upscale homes, throwing out bread was always considered a sin. There were too many hungry people in the streets. According to one superstition, any children who dropped a roll or slice of bread on the floor, were asked to immediately pick it up and kiss it, as a sign of respect that was thought to guard against future hunger. True or not, stale bread or rolls are easily transformed into tasty dumplings. Pour a little Wild Mushroom Sauce over top and serve with a pot roast or stew, for a lovely, filling, cold-weather meal. Brown the bread cubes in 400 degree oven for about ten minutes. Fry the bacon with onion until golden. Add bread cubes and dill. Combine with eggs, milk, flour, salt and a dash of pepper. Mix well. Wet your hands and form the bread mix into small round dumplings about the size of a golf ball. Drop into large pot of boiling water and cook about 8 to 10 minutes. Test one for doneness in the center. Drain well. 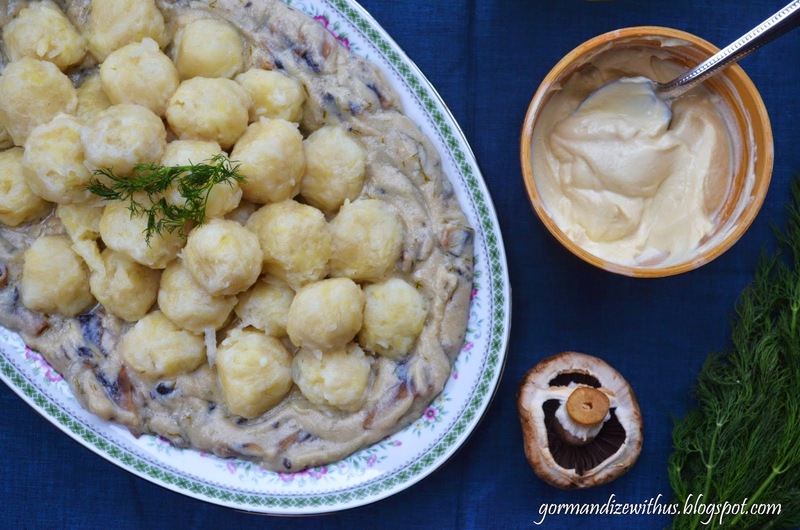 Top with mushroom sauce and serve with your favorite meat dish. 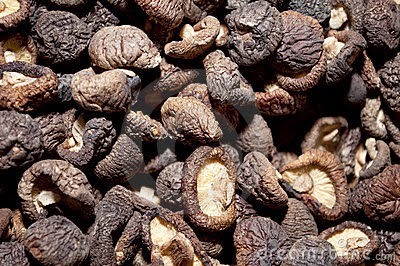 Reconstitute dried mushrooms by covering with boiling water – let soak for about 30 minutes. Drain well but reserve the liquid. Chop finely. Melt the butter in a hot pan and add the fresh and reconstituted mushrooms, and onions and saute until golden and very aromatic. Sprinkle with flour and stir in well for a few more minutes, taking care to not let the flour burn past a golden brown. Gradually stir in the cream. Add salt and pepper to taste. 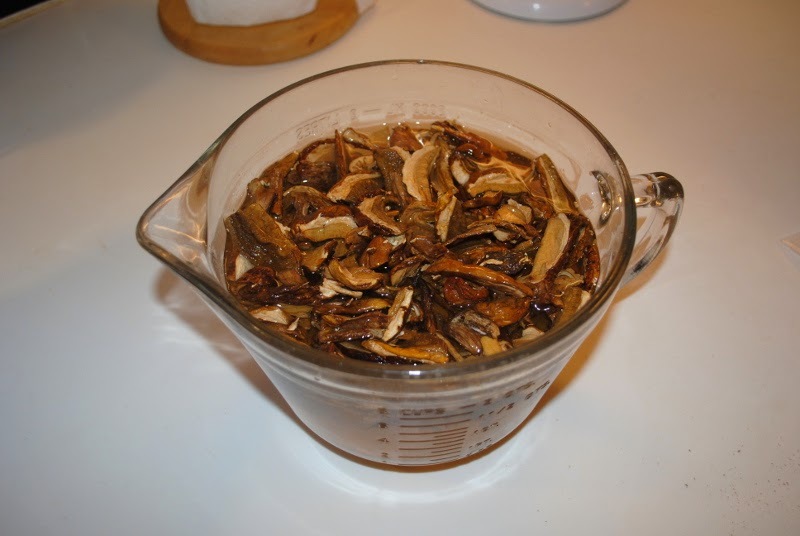 Taste…if you want more mushroom flavor, stir in some of the dried mushroom “liquor” a tablespoon at a time. Keep tasting. While stirring constantly, let the sauce simmer and reduce a bit until it reaches the desired “saucy” consistency and intensity of flavor. Pour over the dumplings and garnish with fresh chopped dill.